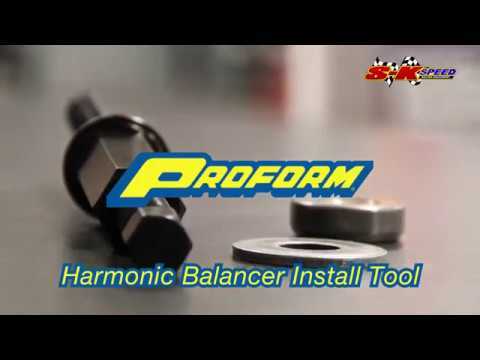 This harmonic balancer installation tool is designed for use with Chevy LS crankshafts. Made from high quality steel material. This tool makes installing the harmonic balancer simple and easy. Just thread the proper end into the crankshaft and rotate the nut pressing the bearing against the harmonic balancer. Sold individually. Backed by a limited 30 day factory warranty.